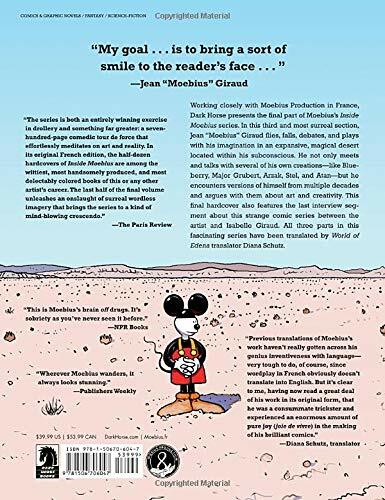 In this third and most surreal volume of Inside Moebius, Jean ''Moebius'' Giraud exists in a magical desert locale within his subconscious. He not only meets and talks with several of his own creations--but he encounters versions of himself from multiple decades and argues with them about art and creativity. 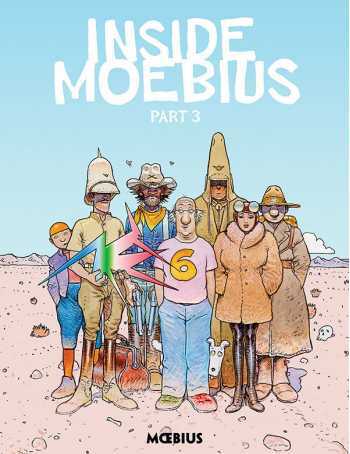 Collects Inside Moebius chapters 5 and 6. * The final volume in Moebius' unique, self-reflective Inside Moebius book series.